We just can’t get enough of Britomart’s newest addition! Say hello to Super, a hip new eatery that’s sure to be your new go to. The space—which once housed Oaken—has been transformed into the all-day breakfast joint of our dreams. From the masters of all things scrumptious, The Britomart Hospitality group, their latest masterpiece offers the classically refreshing dining experience we didn’t know we needed. The best meal of the day, Super features a small but mighty menu, boasting tried and tested breakfast classics we all know and love. Crafted and perfected by local legend Oliver Fitton, you’ll find each bite jam-packed with flavour and only want more! 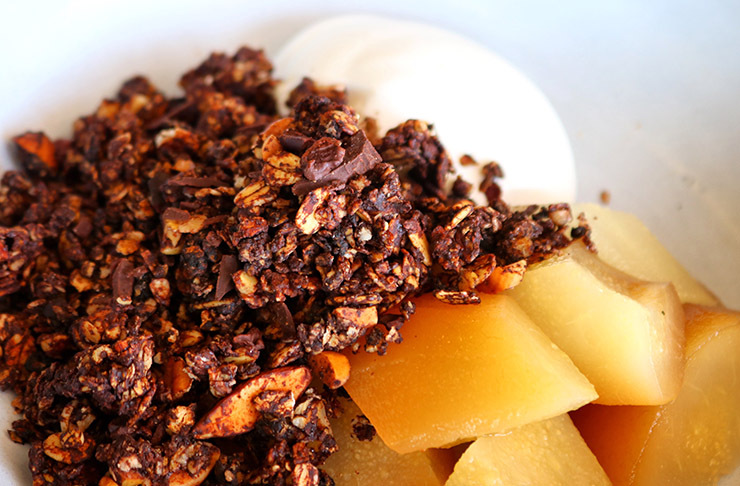 A team favourite, kickstart your day with quite possibly the best granola in town. What makes it so epic you ask? Three words— Whittakers. Dark. Chocolate. Yes, you read that correctly a deep rich crunchy bowl of happiness, this bad boy is served alongside coconut yoghurt, soft pear and maple. Transforming your humble morning toast, the jam-packed seven grain toast range puts the humble marmite butter combo to shame. 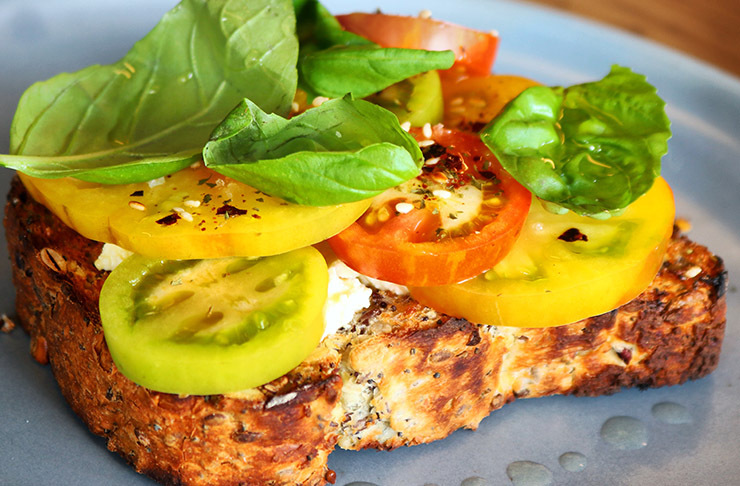 Our top pick is the ricotta, heirloom tomato and basil creation. If you’re a creature of habit, look further to the eggs benedict. Served on an English muffin with seasonal greens and drenched in an addictive house-made hollandaise you won’t be left disappointed. Once you get a whiff of the saucy shakshuka you won’t be able to stop yourself going in for a bite. Two eggs baked in tomato and capsicum goodness with grilled halloumi (a.k.a. cheese of the gods) and herbs served alongside toasted rye, this bad boy will have you falling in love at first bite. Because there’s never a bad time for a burger, there’s only one word we need to describe this gem— super! Changing weekly, who knows what glorious creation you’ll find on offer. We gave their latest a try and were absolutely blown away. Crammed with not one, not two, but three sauces every bite was as moreish as the last. Served alongside potato rosties topped with sour cream and chives, it’s sure to have you holding out for your lunch break. Just when we thought it couldn’t get any better, they serve Cali Press juices! A health nut's dream in a bottle, we can’t think of anything more perfect to go alongside a big o’l bowl of granola than a golden state. Along with top quality coffee brews and freshly house-baked goods, it's the perfect one-stop spot during the daily hustle. Living up to its name the sensational new eatery Super is just that. With a wicked range of classics done right, pressed juices and fresh coffee you'll find yourself quickly coming back for more. For more information about Super, including opening hours, click here.